OMG. The state of my desk! I think it may be shameful even for a WOYWW day, when we get to see desks in a mess (well, not ALWAYS, but more often than not) all around the world. 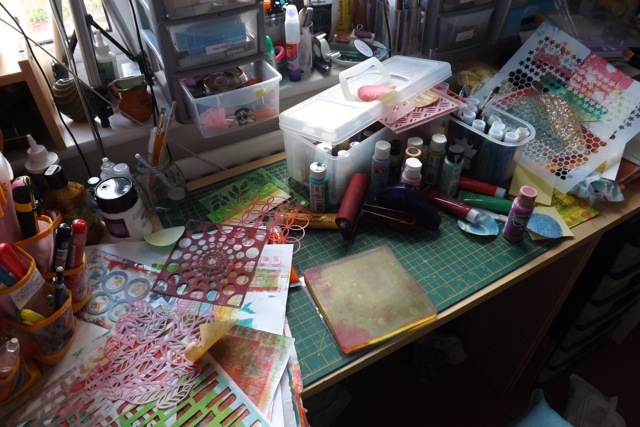 Deep in the Gelli play at the moment. And not as short of WOYWW as I would have hoped, but not as long as it could be. 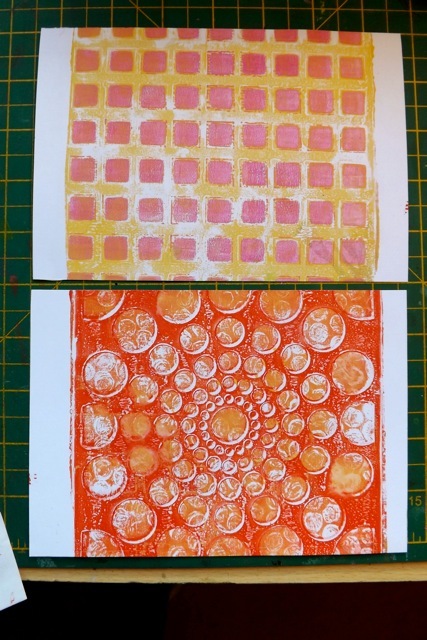 A had a comment on a You Tube doodah I did, asking how I achieved a particular print. I answered, but the more I looked at it, the less I was convinced I actually remembered how I did it. And that REALLY annoyed me. 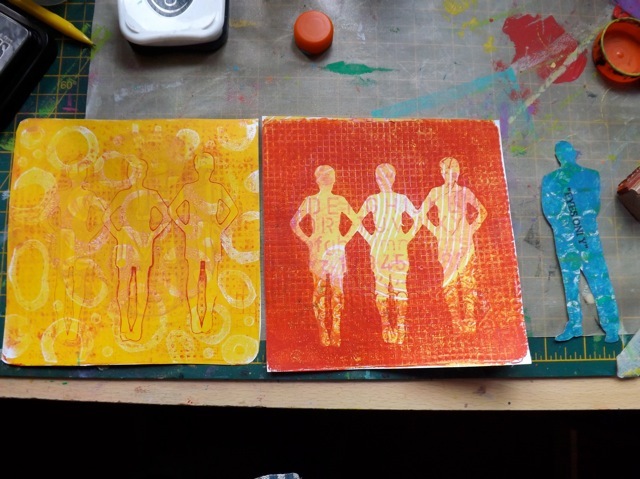 I know I pulled the yellow print then masked and pulled over that to get the right hand one, but I can’t recall if they were meant to show a two stage process of if in fact they really were what I said they were, a print with its ghost. 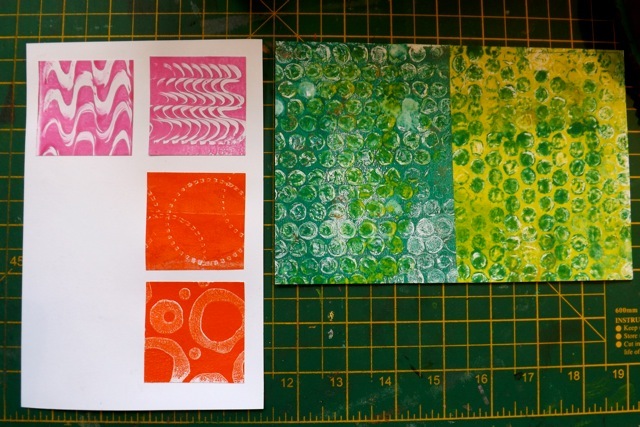 This led me to a mental tangent, musing on the nature of Gelli play in general. I think many people are like me – they sit down, they say What if I did….? and just slap on the pain, try something out, pull a print or two or 20, then clean up and move on. And maybe even promptly FORGET how they achieved something that ended up being really cool. Is that MORE common that those who plan every print to achieve just the look they want or need for a particular project? I don’t know. And that got me thinking about al the people who buy a plate, and, like me, then go looking for instructional videos and blog posts to get them started, heading in the right direction. 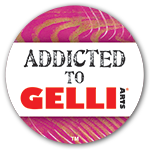 And maybe there is a good number of people who recognize the Gelli Plate is “hot” right now, buy it cause they like to have the thing everyone is clearly stoked about, but aren’t necessarily playful of experimental by nature. So the plate languishes. What would help with some of those issues? 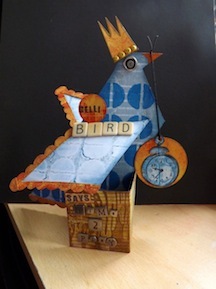 I had a bit of a play – I made four of them, with things I thought would be useful. For mine, a I usually do anyway, I took photos of the stages that resulted in a particular print. I popped into my little program and added the text and the photos, added a couple of notes for things I seemed likely to forget, with space for making notes later too. My idea was to use a pack of big 5 x 7 inch notecards (5 x 8 cards would work as well.) I now I have them, I just can’t for the life of me figure out where I put them! I thought I could print the recipe on one side then pull the print for a sample on the other, then collect them all into a bound book, for easy reference. I ended up printing them then pulling the prints and sticking them together, because the paper I was using wasn’t QUITE thick enough for my liking. Likewise you could print on thicker cardstock then cut to size and pull the print on the back. The first one was what I did yesterday, to make a two-pone print, and something I mentioned wanting to try, which was to add texture to the 2nd brayering of the paint. Then I did another thing I had been keen to try, brayering the paint onto the bubble wrap then stamping on the loaded plate, again to get a two-tone effect. I pulled prints of both the light onto dark and dark onto light versions so I could see the difference. And noted which one works better. 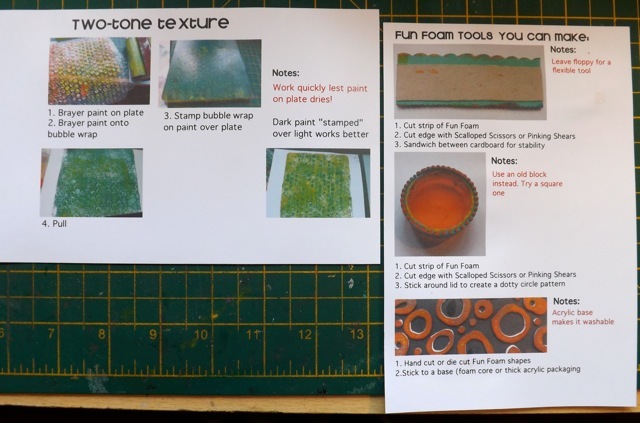 I also did a card with some of my instructions for Fun Foam tools and cut small samples of those. 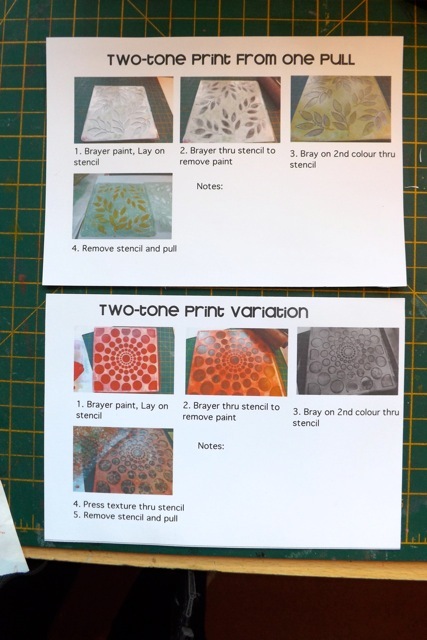 I have this vision that if I could convince lots of Gelli artists to make similar Recipe Cards, in the same size, then how cool would that be? Then people could download the cards, play with the ideas, pull a print on the back of the card, and in the end have their own little technique book. so I’m going to add mine for people to gram. Let’s see if anyone else takes up the gauntlet…. I know I’ll keep making these for me, and when I do I’ll be sure to add them. And I’ll hope that maybe some of the inspiring artists out there start posting some of their own too. Note: Had a bit of an epic fail on the ones I originally posted, so these are the ones correctly sized for 5 x 7 inch index cards. There is a third one (and an explanation) in the next post! 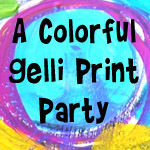 Categories: art, Gelli plate monoprints, printables, tutorial, WOYWW | Tags: art techniques, Gelli plate, how-to, printables, WOYWW | Permalink.